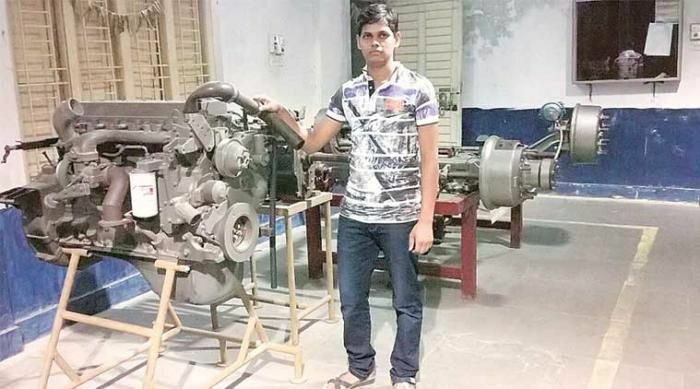 Srikant Sahu, a 22-year-old boy from Nabrangpur in Odisha, has topped the national skill contest by securing 398 marks. He had participated in the motor vehicle mechanic category of the All India Skill Competition which was held in May this year. The result was declared this month and Sahu will get Rs 50,000 as cash reward and a certificate. Sahu now wants to receive the certificate from Prime Minister Narendra Modi. "Prime Minister Modi represents the aspirations of rural youth like me. I am impressed by his Make in India programme. He has a vision for youth unlike other leaders. I will be lucky to receive the award from him,"a newspaper report quoted Sahu. His father Balram Sahu runs a tea shop at Jharigaon Block area and Srikant wants to support his family by acquiring a government job. Sahu was offered jobs by private firms like Maruti Suzuki, Ashok Leyland and Tata Motors, but he chose to not opt for them. Sahu had cleared the written test and interview round for a post in Fitter Automobile in Indian Ordinance Factory in Jabalpur and will join the organisation once the mandatory police verification process is completed. He was also felicitated by Odisha Chief Minister Naveen Pattanaik earlier this month.